Finally, the long-awaited sequel to The Tourist Trail is here. 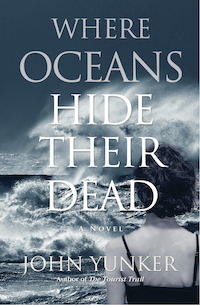 Where Oceans Hide Their Dead, which can be read as a stand-alone novel as well, picks up where The Tourist Trail left off (which is all we can say here, in case you haven’t yet read The Tourist Trail). Hailed as “an epic, gripping, charming novel” by Jasmin Singer of VegNews and Our Hen House, this passionate, adventurous novel about living on the edge of society and love in all its myriad forms is available now from Ashland Creek Press. Q: What made you decide to write a sequel to The Tourist Trail? A: My millions of readers demanded it. (Kidding.) Actually, readers of The Tourist Trail will know that this first novel ends on a bit of a cliffhanger. And I was just as curious to know what happened next. So here we are, eight years later, following Robert as he travels to another country. Q: What inspired the characters you chose for Where Oceans Hide Their Dead? A: I’m continually inspired by animal-rights activists. The work they do is heroic. But unlike those who risk their lives for their fellow humans, those who risk their lives for animals are treated as criminals and terrorists. I want to show what they’re up against, as well as the emotional toll of what they deal with. It’s not easy living on the fringes of society. Q: Was the process of writing different this time around? A: The second book was more difficult than the first. Partly because the issues hit closer to home, literally and figuratively. And partly because the characters themselves face difficult journeys. Q: Who are some of your favorite environmental writers? 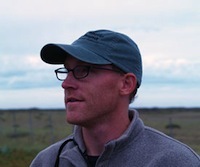 A: My favorite environmental writers aren’t often referred to as “environmental,” but they very much are. I greatly admire writers such as Annie Proulx (Barkskins) and Carol Adams (The Sexual Politics of Meat). Lately I’ve been reading quite a bit of Tim Winton; there is an environmental streak in much of his writing as well, such as in Eyrie. Other writers that are as relevant now as they were when they first published are Rachel Carson, Brigid Brophy, Upton Sinclair. And I have to call out Midge Raymond’s novel My Last Continent, as well as the writers we’ve published at Ashland Creek Press. There are many amazing short story authors featured in our two Among Animals anthologies that are deserving of huge audiences. I’m most attracted to writing that places human and non-human animals on equal footing, or dares to place non-human animals on higher footing. Q: What do you hope readers will take with them after reading Oceans? A: I hope they are energized to help take up the fight for animals and the planet — a fight that concerns us all now more than ever. Q: Is there another book featuring FBI agent Robert Porter in the works? A: I’m afraid so. But, like Oceans, it might take some time. Learn more about The Tourist Trail here; check out Where Oceans Hide Their Dead here. Both are available at the Ashland Creek Press bookstore, at an indie bookstore near you, and via online retailers.